Chocolate history begins as many as 4000 years ago in Mesoamerica where cacao trees grow abundantly. Although Cacao was considered “food of Gods”, for its long history it was mostly consumed as a bitter-tasting drink, without sweet treats. Anthropological studies have shown that people who first used chocolate were the pre-Olmec of what is now Mexico about 1900 B.C.. Chocolate drink was made by fermenting, roasting, grinding up cocoa beans, adding water and spices such as vanilla, honey, chili peppers and other spices. Drinking chocolate in ancient times was a symbol of status and class. Olmec, Mayan and Aztec civilizations used it as aphrodisiac. They believed that it had refreshing, magical, even spiritual properties. Therefore the consumption of this drink was limited and it was intended for rulers, warriors, priests and nobles and was used in sacred rituals. For several centuries Cacao beans were valued so highly throughout Mesoamerica that they were used as currency. When in the 14th century the Aztecs conquered Central America, they longed for cocoa, which was a symbol of their civilization, but could not be grown in a dry mountain climate. They began to trade with the Mayans for cacao beans, which were very valuable and used as a medium of exchange (for example, one turkey was equal to 100 cocoa beans). According to some reports, the Aztec leader Montezuma, liked the drink so much that he drank three gallons of chocolate per day to maintain his libido. In the 1500s, Spanish conquistadors, among them Hernan Cortes, were exploring for gold and silver. Although he was also looking for gold, he found the cocoa bean and the chocolate instead. He imported the first cocoa bean and the recipe of chocolate drink into Spain. Spaniards added to the spicy bitter drink sugar and cinnamon, but one thing has remained constant: the chocolate was still a symbol of luxury, strength and power. And only monarchs and well high society could afford the new expensive product. 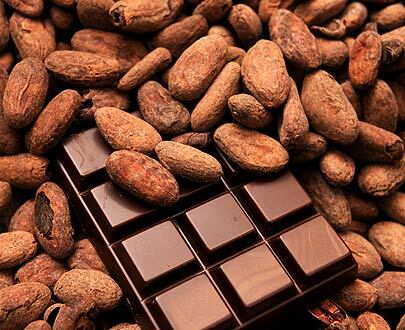 The Spanish then began to dominate the cocoa market and its cultivation and tried to keep the secret of chocolate to themselves. But when the daughter of the Spanish King Philip III married the French king Louis XIII in 1615, she transferred the recipe of her beloved chocolate to French. Soon chocolate became popular throughout Europe, and the aristocracy used it as an elixir with amazing healing properties. 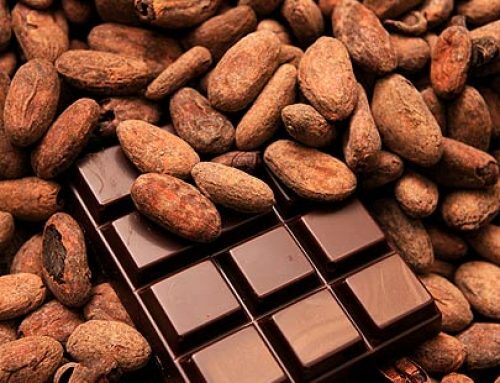 To meet the growing demand for chocolate, European countries began to establish plantations for the cultivation of cocoa and sugar in the equatorial colonial countries. 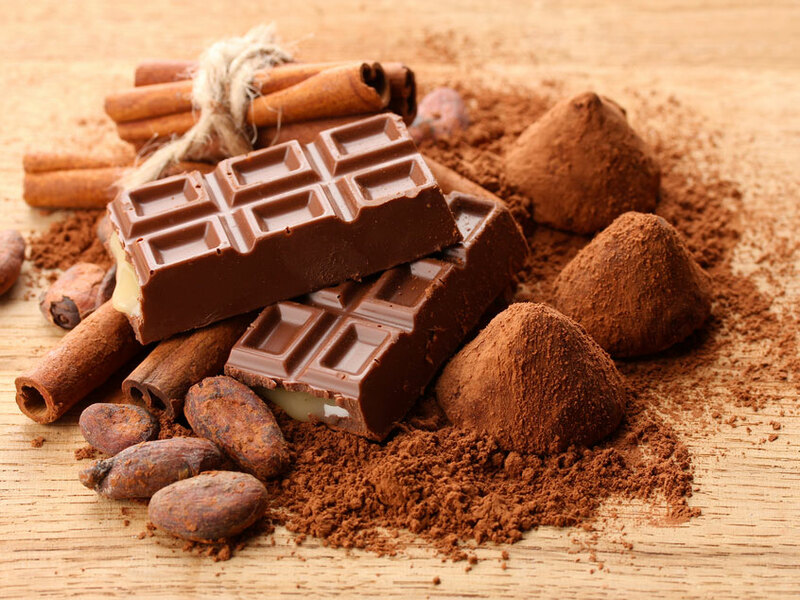 Chocolate had long remained a pleasure available to aristocrats, but a Dutch chemist Coenrad Johannes van Houten revolutionized the production of chocolate by inventing a machine that separates the cocoa mass from the cocoa butter. The first solid chocolate bar consisting of cocoa powder, cocoa butter and sugar, was released in 1847 by the British company JS Fry & Sons. In 1879, Swiss Rudolphe Lindt invented the conch, a machine that rotated and mixed chocolate to a perfectly smooth consistency. The process of making chocolate became more efficient, new process and methods changed the flavor and texture of chocolate. Due to its similarity to the shell’s form the process called “conching”. Lindt also began to produce the first delicate milk chocolate. According to statistics, one American consumes 12 pounds of chocolate per year, and around the world bought up chocolate worth more than $ 75 billion. It is not necessary to be a sweet tooth to know about such hereditary chocolate manufacturer as Cadbury, Mars and Hershey, whose names were famous in 19-20 centuries, but their popularity is not decreasing even today.